If you’re like most small business owners, you’re a multitasking sensation. Whether you’re a solo act or part of a small team, the need to simplify your processes and eliminate errors, while keeping business moving, is a must. So is getting paid quickly. 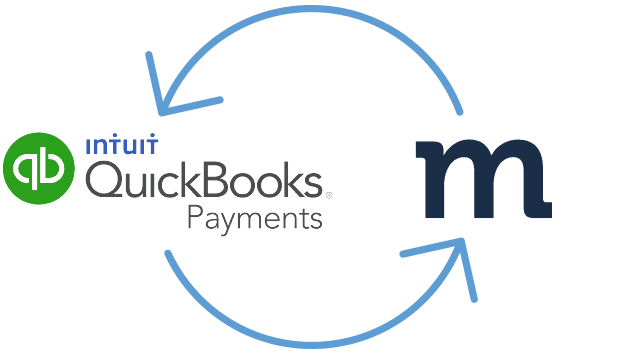 To help you help your bottom line, Method is excited to announce that we now integrate with QuickBooks Payments! Method’s integration with the Intuit QuickBooks Payments Gateway (formerly Intuit Merchant Services) allows users with a US QuickBooks account to access QuickBooks Payments directly within the new version of Method. There are lots of reasons to be excited! For starters, you no longer need to switch out of Method and move into QuickBooks to accept a payment. This is a big deal for your front-line team because now they can accept a credit card payment on the spot, without needing to pass the transaction to your accounting team. When they enter the payment in Method, the transaction automatically syncs to QuickBooks! You can also accept online payments directly on your websites. If you’re a nonprofit using Method:Donor, this is particularly exciting for you. Method:Donor allows you to create Donor Pages where you can accept, track and automatically send your donors receipts for online donations through a personalized webpage. Our integration with the Intuit QuickBooks Payments Gateway now allows you to choose between accepting donations through PayPal or QuickBooks Payments! Want another reason to be excited? Well, you can also use Method to send a customer an invoice with a link to make an online payment through their customer portal, just like with QuickBooks! Your customers will be able to pay you easily and securely through the Intuit QuickBooks Payments Gateway. Gone are the days of your sales team getting credit card numbers over the phone, writing them down, passing them to a different department and getting them entered into your QuickBooks account. That process is slow and leaves so much room for error. By integrating with QuickBooks Payments, Method is your one-stop-shop, creating a simplified process for all teams. First, you need to be sure you have a QuickBooks Payments account. If you don’t have one, you can easily get started by going here. Once you have your QuickBooks Payments account set up, all you need to do in Method is go to the Payment screen and select Preferences. From there you can navigate to Integrations, select Payment Gateways and add Intuit QuickBooks Payments as your new Gateway. All that’s left to do is authenticate, and you’re done! It’s a one-time setup, easy as that! 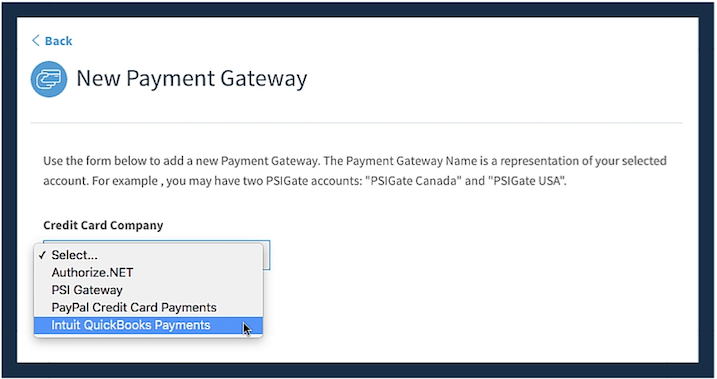 For full details on the Intuit QuickBooks Payment Gateway and step-by-step instructions to set yours up, check out our Help Center article here!